Glendora’s Aaron Rowand left here nearly 15 years ago with his thoughts on a dream that would end with a life of playing Major League Baseball. His dream has become a reality, and now he gets to prove it near home as the chief star for the San Francisco Giants, who he signed with in January as a free agent. The move to the left coast hasn’t hurt Rowand, who is doing fine in his first season in San Francisco. Rowand, who had his number retired at Glendora earlier this decade, came to San Francisco after spending stints with the Chicago White Sox, who he helped win a World Series in 2005, and the Philadelphia Phillies. He hit .309 with 27 home runs for Philadelphia last season, and has nearly picked up where he left off, hitting .305 with eight homers for the Giants. He also has hit 18 doubles and has a .523 slugging percentage. Rowand is also a good bet to make the MLB All-Star game this season. He returns to Southern California at the end of July when the Giants visit Dodger Stadium for a three-game series. Former Los Altos star Brigham Harwell looks to make plays like this for UCLA this season. This coming football season is an important one for former Los Altos High School star Brigham Harwell, who is not only coming back from an injury that forced him to miss most of 2007, but he will also fill an important role for the UCLA football team: Harwell was one of two players named team captain last week, joining tight end Logan Paulson. Harwell, a sack machine at Los Altos, has been a key player for UCLA’s defense, starting 23 of 25 games during his sophomore and junior seasons. His return from knee surgery will be key for the Bruins, who lost several starters on the defensive side from last season. UCLA begins its season Sept. 1 with a home game against Tennessee. Former Northview star Chris Woodward, far right, looks to celebrate in the Major Leagues like this again. When I think what former Northview High School baseball star Chris Woodward has had to endure this season and why he keeps coming back for more, my thoughts turn to Steve Carlton. Carlton, arguably one of the top pitchers of all time, by his own admission, hung on to his life in the Major Leagues way too long. Carlton, after earning 313 victories in his first 20 seasons in the big leagues with the St. Louis Cardinals and the Philadelphia Phillies, was a dismal 16-37 during his final four seasons while being cut, released or having his contract not renewed during stops with the San Francisco Giants, Chicago White Sox, Cleveland Indians and Minnesota Twins. A reporter asked Carlton, who truly had already cinched his spot in Cooperstown, why he continued to hang on with really nothing more to prove? Carlton’s answer was quick and to the point: “The life,” he said, referring to what baseball gave him – a good salary and the life of five-star hotels and restaurants. No one knows that more than Woodward, who after stops with the Toronto Blue Jays, New York Mets and Atlanta Braves, is trying to work his way back to the Major Leagues. But its been a long and winding road this season for Woodward, who hit just .199 for the Braves last season. It started with the New York Yankees, who he signed a minor-league contract with before the season. He made it to the final cut in spring training before being released in March. He signed another minor-league deal with the Philadelphia Phillies and played the first month of the season with the Lehigh (Pa.) Iron Pigs, hitting just .206 with an RBI in 19 games before being released on May 2. But there is no giving up in Woodward, who again signed another minor-league deal two weeks ago, this time with the Milwaukee Brewers. All signs are looking good as Woodward is off to a solid start for the Nashville Sounds. He is hitting .286 with an RBI in his first six games for the Pacific Coast League Triple-A team. Here’s hoping Woodward can make it back to the cathedrals of Major League Baseball. Former Temple City star Ryan Tucker was impressive Sunday in his MLB debut. If you back up your dream with work, it will eventually come true. The former Temple City High School baseball star, who was compensation pick by the Florida Marlins in the 2005 First-Year Player Draft, got his call to the Major League’s Saturday and passed with flying colors, winning his Major League debut in the Marlins’ 9-2 victory over the Cincinnati Reds on Sunday. Tucker, who spent the first portion of the season going 4-2 for the Double-A Carolina Mudcats, limited the Reds to just two hits and one run with six strike outs in five innings. He also walked five. “I was still a little nervous in the first two innings, but I did what I can to settle down and control the walks,” Tucker told MLB.com. “I just told myself to relax, take a deep breath and make pitches. Reports also indicate that Tucker’s stay with Florida may be a long one. “He’s been dominating Double-A, and he’s improved his pitches,” manager Fredi Gonzalez told MLB.com. “He deserves to come up here and pitch in the big leagues. Arizona State softball players were all smiles after winning the Women’s College World Series. Kristen Miller is No. 1. Miller, a former Diamond Bar High School softball star, helped Arizona State win the school’s first softball national title earlier this week after sweeping Texas A&M in the championship series at the Women’s College World Series in Oklahoma City, Okla.
Miller was the team’s starting catcher and one of the Sun Devils top hitters. Way to bring it home, Kristen. 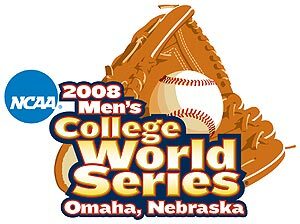 The NCAA’s Road to Omaha and the College World Series included two former area prep baseball stars this past weekend. The Fullerton Regional not only featured a battle between local rivals Cal State Fullerton and UCLA, but also former local players Gary Brown of Diamond Bar and Rob Rasmussen of Pasadena Poly. Fullerton, and Brown, had the last laugh, scoring a 5-4 victory Monday night to advance to this weekend’s NCAA Super Regionals. Brown, who went 1 for 3 Monday, including 0 for 1 in a head-to-head battle against Rasmussen, hit .353 during the regional and scored five runs with five stolen bases. Rasmussen, who had been hampered my injuries for much of the season, got the start in the pivotal game Monday night. He got the loss to finish 0-2 on the season after giving up six hits and three runs in the three innings. The Bruins had their season end at the hand of the Titans for the second consecutive season. Fullerton swept a two-game series in the Super Regionals last season. Fullerton, which has won four national titles, advances to host Stanford in the Super Regionals, beginning Friday.